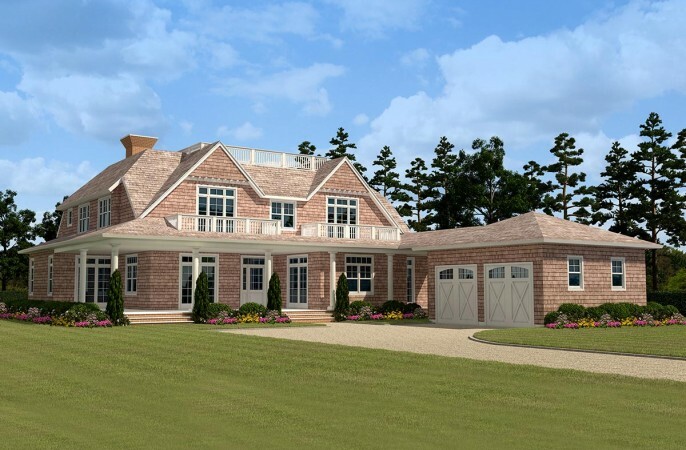 Located on Bluff Road near Amagansett's coveted Dunes area, a newly constructed traditional home is in the works from Farrell Building Company. With all the amenities and finishings you've come to expect from the Hamptons most prolific builder, this spectacular home will offer approximately 6,000 SF of living space in the combined first two floors, with additional living space in the finished lower level. Boasting 6 spacious bedrooms, 61/2 bathrooms, a high-end gourmet kitchen, 4 fireplaces, attached 3-car garage and a heated gunite swimming pool and spa, this home is a place to dream and be inspired. Preview today in order to be able to experience this beautifully built new home for Summer 2014.